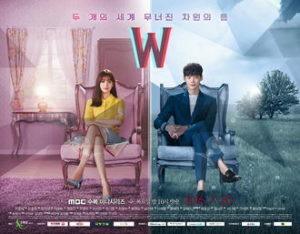 W – Two World Kdrama series is an mysterious melodrama about a parallel universe which depicts a man and a woman who live in the same Seoul but in different environments. A cardiothoracic surgeon, Oh Yeon-joo’s father mysteriously went missing while writing the last chapter of his webtoon “W”. Yeon-joo goes to his office and shocked to see a scene of the dying Kang Cheol , on her father’s computer. While reading a note left behind by her father, a hand from the monitor pulled her in and she finds herself on the rooftop of a building next to a bleeding man. She manages to save him and realizes that the person she saved was Kang Cheol. Yeon-joo later discovers that she can only leave the webtoon based on Kang Cheol’s change in feelings. When that happens, the words ‘to be continued’ will appear and she will teleport back to the real world. Yeon Joo later found out that she became the heroine of the comics as she always save Chul’s life. 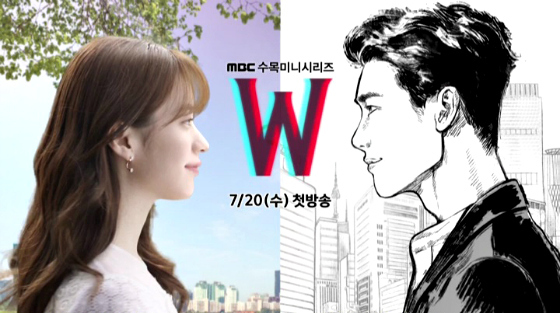 At the last episode of W it turns out that the comic ended but Chul’s life did not. Watchers where given a glimpse into what Sung Moo was planning while in his hotel. He decides his own fate by killing Chul Ho in a fake suicide and giving police the evidence of Chul’s torture. Sung Moo then finds Chul and drives to see his daughter one last time before disappearing. It’s after Yeon Joo disappears that Do Yoon finds Chul and rescues him. Back in the real world Yeon Joo travels to the bus stop where Chul “died”, in the pouring rain. Before she passes out from exhaustion and the cold, a car pulls up and a man walks over to her. The next scene cuts to her in the hospital with Chul lying next to her. We learn that Chul against Sung Moo’s wishes reveals Sung Moo’s fate. The drama ends with Chul and Yeon Joo sitting on a bench happily, with voice overs by the two explaining how they will now live as an ordinary couple.